Air Conditioning One Inc is proud to serve the Belleview community! About Belleview, FL - Happy to be your hometown Heating & Air Conditioning Contractor! Located in Marion County, Florida, Belleview is a city with a population of roughly 5,000 residents. It is found within the Ocala Metropolitan Statistical Area, and its motto is “The City with Small Town Charm.” The city is small geographically, only consisting of 1.8 square miles of total area. Belleview has two distinctive seasons: the wet season (from June to September) and the dry season (from October to May). In the wet season, thunderstorms are a common occurrence, while the dry season consists of mostly uninterrupted sunshine. 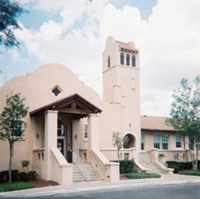 Belleview is home to several attractions that residents or visitors may find interesting. The Market of Marion is a farmer’s market that features fresh veggies and fruits grown by local farmers, and furniture, antiques, and even animals can also be purchased. Movie fans may enjoy a trip to Belleview Cinemas, and Timberline Farm offers a fun corn maze during the fall. Gallery East and Silver Oaks Campground are other popular destinations in the community.